Mary Dalton Sawyer passed away January 10, 2015. She was born March 13, 1946 in Abilene, TX. Mary grew up in Lawn, Texas. She graduated from Jim Ned High School in 1964. She worked on a Nursing degree in college for a short time, but left early. She moved to Dallas, Texas and started her family. She worked for Taylor Publishing Co. for 33 years. October 8, 1988 she married Tony Sawyer. A loving wife and mother, who showed compassion to everyone she met. Mary loved cats; she would feed every stray cat she found. Her dream was to open an animal refugee. She loved to read crime novels, history books, watch animal planet and the history channel. Every day during the summer she would have her husband, Tony, bring her home a coconut kiss snow cone. Mary was strong-willed with an anything goes sense of humor. 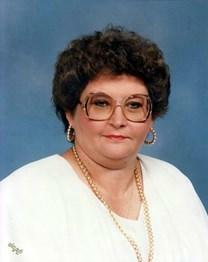 Mary enjoyed going to the theater, fishing, shopping, gospel music and taking road trips. During their road trips they would often stop at historical sites. She liked gardening, cooking everything, flowers and her perfumes. Mary was very passionate about several foundations including; Boys Town or most children's foundations, Kidney Foundation and Sarcoidosis Foundation. She is survived by her husband Tony Sawyer; daughter Anita Clark and her husband Henry; sister Shirley Good and her husband Kenneth; numerous nieces, nephews, great nieces, great nephews and an abundance of friends. Visitation will be Friday, January 16, 2015 at Bean Massey Burge Funeral Home from 6-8pm. Services will be Saturday, January 17, 2015 at Bean Massey Burge at 1pm.